There are just a few days left before the official launch of Samsung's new Galaxy S10 line. The South Korean brand is likely going to face fierce competition, as many manufacturers will be taking advantage of MWC to announce their new products as well. However, there are several elements that make me think that the Galaxy S10e could be a great success. With one week to go before the Galaxy Unpacked event, we now know almost everything about Samsung's future devices, as the spec sheets for the Galaxy S10, S10+ and S10e were recently leaked, as have many photos of the upcoming phones. The situation is not surprising for the phone market in 2019, but it gives a clear idea of the potential success of the Galaxy S10e. Like Apple and its iPhone XR, Samsung intends to unveil a cheaper version of its flagship in order to attract a wider audience. The strategy is rather clever at first glance. 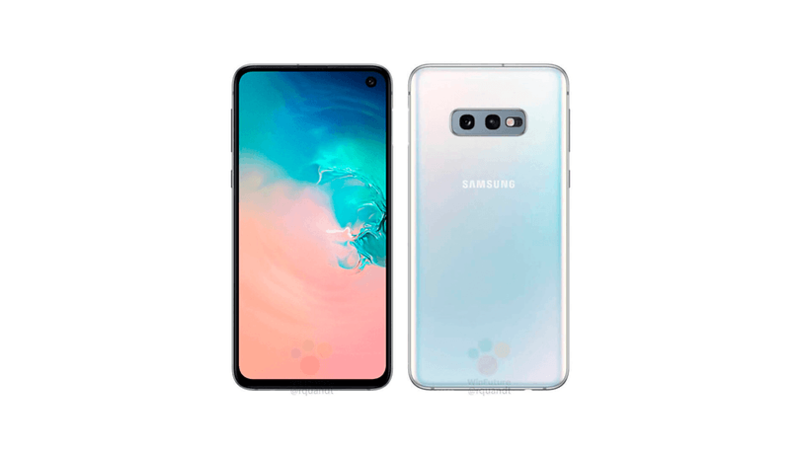 The Galaxy S10 brand is popular with users in the Android world, while Samsung is probably the smartphone manufacturer that is both the most revered and hated. Like it or not, its products are still selling very well and despite the horde of haters, the Korean company remains a world leader. While its market share is gradually declining, its Galaxy S series is still among the brand's best-sellers. The tenth generation is eagerly awaited. Therefore, the price of this e-version, which should be more affordable, will allow some users to buy "a piece of the dream" that Samsung's new flagships will sell. While the Galaxy S10e will be offered at a lower price, Samsung has been forced to make some compromises, but these appear to me to be less restrictive. Yes, the smartphone will not offer a fingerprint reader under the screen unlike its two older brothers. Fortunately, it will still offer a traditional one housed in a side button of the device. And judging from my long-term experience with the Mate 20 Pro or OnePlus 6T, the good old fingerprint scanner remains more reliable and above all much faster to use. A constraint that is not really a constraint in the end. On the photo side, the S10e will also be less impressive. It should offer a dual 12 MP f/1.5 + 16 MP f/2.2 sensor (ultra wide angle 123 degrees) on the back and a 10 MP front camera with f/1.9 aperture. As a reminder, the S10 and S10+ should offer three rear sensors: 12 MP f/2.4 (telephoto) + 12 MP f/1.5 + 16 MP f/2.2 (ultra wide angle 123 degrees). The S10+ would even have the privilege of an additional 8 MP f/2.2 ToF (depth of field) sensor. However, the configuration of the S10e suggests that it will perform well, if not better than the Galaxy S9, which is already very good in this area. With the exception of these elements, the S10e will certainly have nothing to envy to the other models, as the smartphone will benefit from the same Exynos 9820 processor as its big brothers, as well as 6 or 8 GB of RAM depending on the models. This is enough to ensure very good performance. In terms of design, the smartphone will also feature a great Super AMOLED borderless display with a hole for the front camera, while the Galaxy S10e will have a more compact format. Its display should be only 5.8 inches, compared to 6.1 and 6.4 inches for the S10 and S10 Plus respectively. In my opinion, this is an advantage because "compact" smartphones are rare on the market. I think Samsung is on the right track with the Galaxy S10e. The question now is whether this strategy will actually work. My enthusiasm for the device has not made me blind to Apple's relative failure with the iPhone XR. While the iPhone XR is Apple's most popular smartphone in the United States, accounting for 39% of all iPhone sales since its release on October 26, 2018, according to a study conducted by Consumer Intelligence Research Partners (CIRP), sales have apparently not kept pace with the brand's estimates. Are you planning to buy the Galaxy S10e? If not, which will be your smartphone of choice? Let us know in the comments. Smartphone "flagships" have gotten way out of hand. With the cost of materials, not counting marketing, versus the retail price, 50 to 70% markup? And people still seem to be holding their nose and paying 1,000.00 dollars for these things. Benchmarks don't really equate to performance, given most people are running 1-2 apps at a time, using it for phone, messaging, instagram/FB/twitter, maybe video or music streaming, they are FAST enough. As for the photography aspect, it's still a pinhole sensor in the camera, so the amount of pixels isn't as important, as the QUALITY of the pixels. A 10 mp sensor, if the sensors are LARGER, would equate normally to a better photo. Stuffing more just makes it easier to zoom & crop without loss of detail. Put phones in the 300-400 dollar range, of good quality and most people will buy them. Ever since the galaxy line had two lenses, one has been a telephoto lens. Is the source on the s10e missing out on that good? Replacing that with a wide angle would be a shame, the standard lens will probably be about 24mm equivalent, pretty wide, if you want to compress distances in a photo or take a more attractive portrait, crop will be the only option. If the camera isn't wide enough, auto-stitching on google photos has gotten VERY good, so I wouldn't miss that in nearly the same way. BUT I do think small wide-angle lenses are cheaper, so I can see how it makes financial if not photographic sense. Other than that I think the s10e is a great series of compromises, the side fingerprint sensor still means you can unlock without picking up the phone if it's on a table. Bezels are smaller than the XR (it's also much more hand-sized, but I wouldn't call it compact), and although I use bluetooth earbuds a headphone jack is still great to have. It's getting harder to justify spending this kind of money on a new phone. I think I'll just wait and buy a used one when my S8+ dies. I've hashed out these punchholes within the display. Nah, I'm keeping my s9plus until it blows up. For myself notches & punchholes are just a major distraction. Though my 7 Edge is getting a little long in the tooth, I refuse to pay $1,500 for a Samsung. Don't like Samsung imitating Apple. However, 10e might be a possibility. And yes, I want a phone jack.